Even though we don't cover MMOs to any real depth on Co-Optimus.com, we know the experience is inherently cooperative. That being said, the latest announcement from CCP at the GamesCom conference in Germany has really piqued are interest. The game is called Dust 514, and it's a console MMO/FPS that interacts directly with the PC MMO Eve Online. The game takes place on the surfaces of the planets of Eve, and puts players in gritty ground based combat. 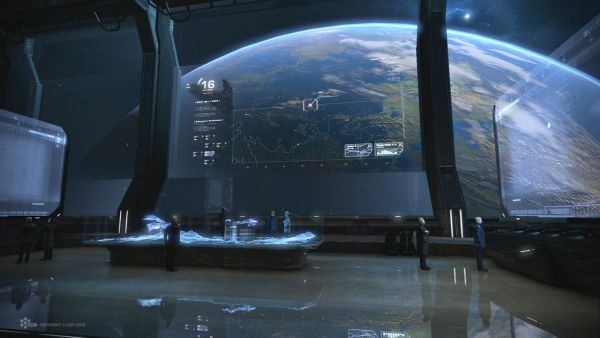 Dust 514 promises customizable weapons and vehicles, as well as direct interaction with the Eve online universe. No release date or platform was given, but this may be the first time we have not only cross platform but cross game interaction. Sounds pretty awesome to me. Sign me up!